Here is some food for thought: what if we changed the way we interpret willpower? What if willpower becomes more of a resource? And, what if that resource was supported by our thoughts and actions? Willpower is defined as the strength of will and mind, or the determination to carry out a decision. 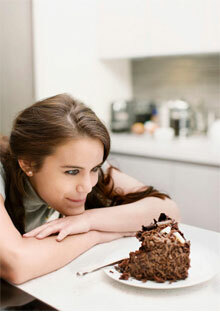 Willpower is also referred to as self-control. Interestingly, the term resource can be defined as a supply or support that can be easily drawn on when needed. Resource can also be defined as the capability to deal with adverse circumstances. These two concepts are complimentary. Rather than defining willpower as the unending ability to just say no, willpower becomes the determination to carry out a decision, and the ability to deal with or find solutions for over coming obstacles. 1) Develop a realistic and well-formed plan for over coming obstacles. Before developing a plan, the obstacles must be identified. In the example above, the obstacle was food items considered off limits at a holiday party, and the plan was to avoid those foods. First, how realistic is that plan? To attending a holiday party and not partake in the foods you enjoy? Rather than dabbling in deprivation, make a conscious choice to indulge some of your favorite foods, and pass on the other less exciting temptations. Mentally and emotionally, choice is much more powerful than denial. 2) Feed your brain. An interesting study found a relationship between blood glucose levels and self-control. People in the study that had higher levels of glucose demonstrated greater willpower when compared to people with lower levels of glucose. Therefore, having a snack before heading out to the party may not just keep your hunger in check, but may also support your willpower. The study also found that restoring glucose helped replenish self-control, so when you feel your willpower reserves getting low try a piece of fruit. 3) Laugh a lot and think positive. Not only has research has found that both laughter and p ositive thoughts boost self-control, but laughter has been shown to strengthen the immune system, reduce food cravings, and relieve stress. I can think of a better way to enjoy a party, and improve health and well being, than to share laughter with friends! Mindfulness During the Holidays What’s in a Goal?